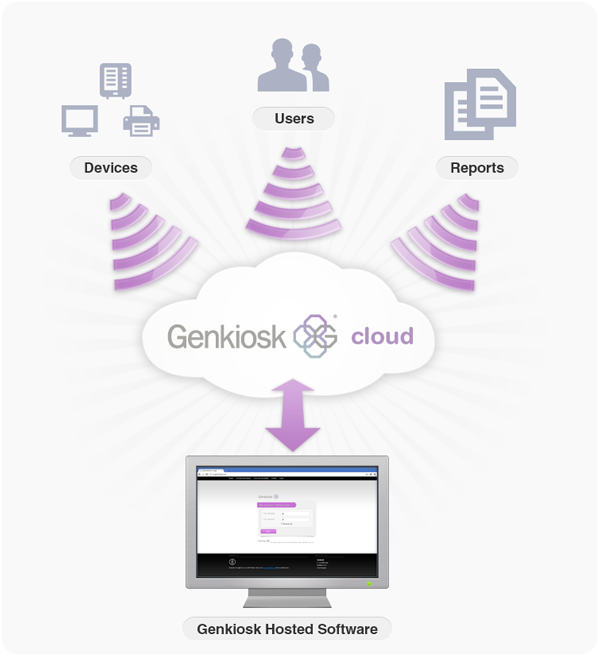 The Genkiosk developer team has spent the past few years working on not just getting lots of useful kiosk data for analysis, but also developing ways in which the system can best work for organisations using automated processes. Why not make things as slick, effective and efficient as possible – adding maximum value? This methodology is based on the premise that it’s “not only what data you get, but what you do with it that counts”. Whilst you might say that this is a no-brainer, you are to a degree led by the system architects who develop management systems. Business Rules are a way in which you can specify automated events to take place depending on the status of information. For example, kiosks might be considered to require attention if they haven’t reported any usage for a specified period of time (e.g. 2hrs. Or 3. It is up to you to decide). on a journey from empty to 250 notes …. at 125 notes it is 50% full which may be the threshold set before the first notification that it requires emptying …. and if it gets as far as 80% full, a high priority alert should be sent out: top severity, before you go out of service. tailored to individual, or groups of, units requiring customised attention. Notifications are the outputs that people receive such as an email with a summary, or a text sent to an in-field engineer requesting urgent action. We invite you to take a look at what we have created and to provide feedback on how this could be improved or integrated in different ways..